Are you searching for information about mental health & wellness? If so, I can help with that! |A natural interest in people coupled with a curiosity about behaviour and life brought me to where I am today. Creating this website has helped me to share my knowledge from my experience working in the mental health field for the last 10+ years. 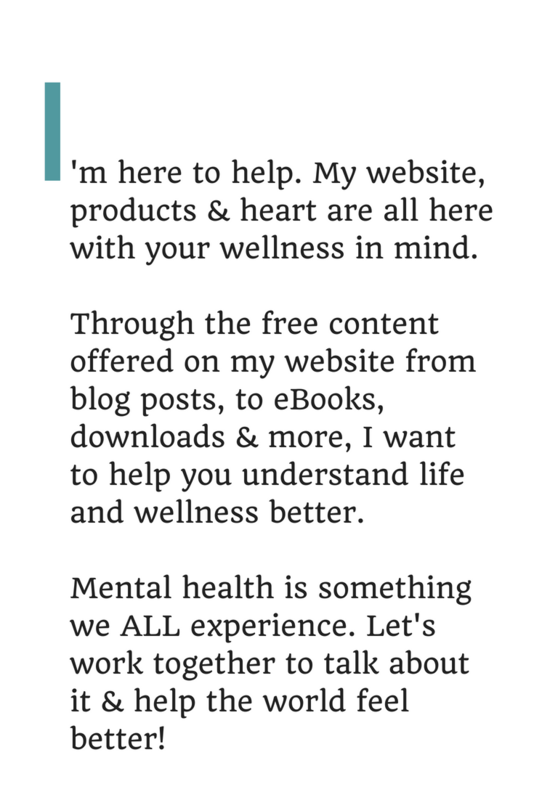 ​Through my informative blog posts and practical mental health resources I help my readers understand more about themselves, identify their concerns, and provide tools to living a healthier and more productive life. As a therapist, mental health blogger & advocate for health and wellness, I am here to help you through some of the most difficult moments in your life and to walk alongside you as you work towards living a happier and more fulfilled life. My goal is to work towards increasing my readers knowledge and understanding about mental health issues through informative blog posts on a range of topics including anxiety and depression. I have also carefully crafted several digital mental health resources to help individuals cope with anxiety and find their motivation. Let's team up! I work with companies, services or products that promote a healthy lifestyle and are in the niche of mental health and well-being. Interested in an article written for your website focusing on topics related to a healthy lifestyle, mental health, or essential oils? Let me know! I accept guest blog articles on a range of topics in the health & wellness niche. Want to share your story? Let me know using the contact form below! Interested in sponsorship or advertising opportunities? Fill out the contact form below to make your request. I want to hear from you! I will be sure to send a reply as soon as possible. Want to get to know me even better? Scroll down to learn about my core values; a set of values and beliefs that help to guide me in my every day life to make decisions, act with integrity towards myself and others, and helps to shape my present and future. I believe that we are all unique beings and, although we may have similarities, we each have a special trademark on this planet. As such, I strive to be true to myself and to encourage others around me embrace their own core values. I have always had an innate concern for others and an ability to sense others emotional distress or state of being. This has led me to choose a profession in the helping field in order to gain skills in being able to communicate my desire to support another individual. 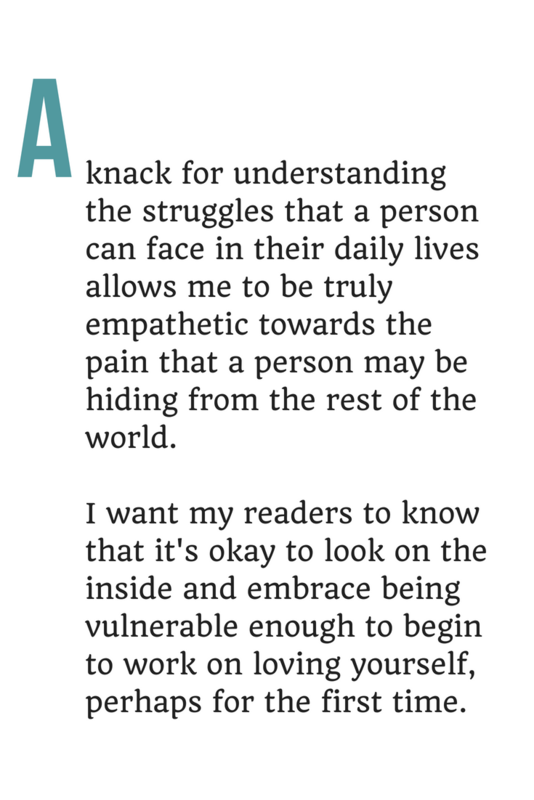 I strongly believe that, as a therapist, being allowed to step inside another persons perspective in order to start to understand their concerns is an essential role in the therapeutic process and can be catalyst for the change process to begin. I feel that this core value also translates within my daily life and remains inherent in my communication and connection with others. I actively participate in my own personal therapy as well as individual and peer-supervision in order to focus on personal growth and maintain my emotional and psychological well-being. I feel it is important to spend time on my own internal needs in order to be fully present and focused in a therapeutic setting. Having traveled to several continents and lived overseas for a number of years, I have a sense of desire to explore and experience other cultures, learn new traditions and meet people from a different walk of life from my own. I feel gaining worldly experience helps me to grow as a person and opens my mind to new possibilities. Celebrating the moments, however big or small, that make us happy can boost our self-esteem and well-being, and create stronger connections with others. For me, those moments of true enjoyment come from having a really good cup of coffee, finally making it to the summit of a hike, or having a chat with a friend filled with laughter and smiles.